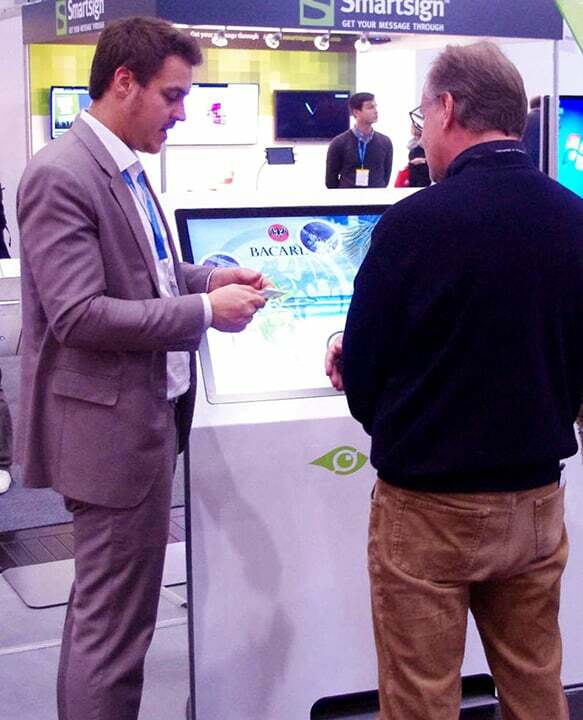 Premium Touchscreen Kiosk Terminals with HD / UHD Display, PCAP Sensor and Object Recognition for Effective Interactive Digital Signage. Buy or Rent Here. In the DELTA touch screen terminals we only use high quality, robust components with leading touch screen technology for the optimum interactive experience. For the effective use as presentation tool, for information and entertainment, for sales and consulting - as well as collaborative teamwork in companies. 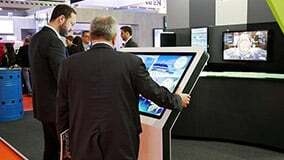 The complete solution from one hand: DELTA Multitouch terminals are ready to use instantly and offer a variety of additional configuration options and extensions. 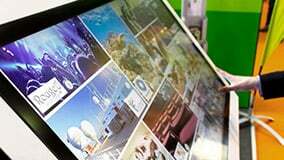 Make sure to get attention with innovative object recognition and have access to an exclusive market place for touch screen app. 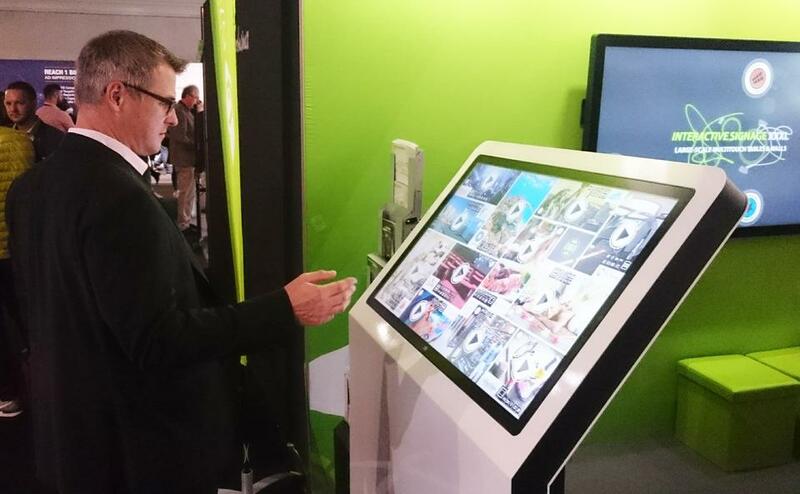 Why interactive multi touch terminals? 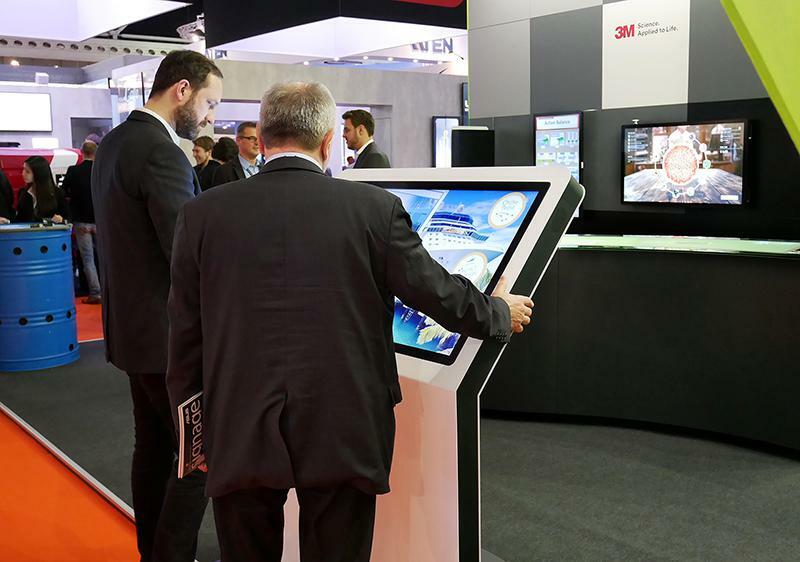 The display of interactive kiosk terminals is generally mounted at an angle and provides an optimal height for comfortable interaction and a good long distance effect. Get started right away: The touch screen content management software AppSuite is preinstalled on your DELTA touch screen terminal. New apps and updates can be conveniently downloaded from eyefactive's online AppStore for customizable touch screen software. 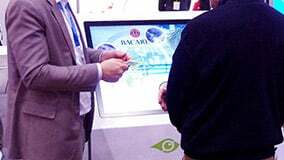 The innovation in the segment interactive digital signage: Any arbitrary object can be recognized by the touch screen, as soon as they are held against the display. 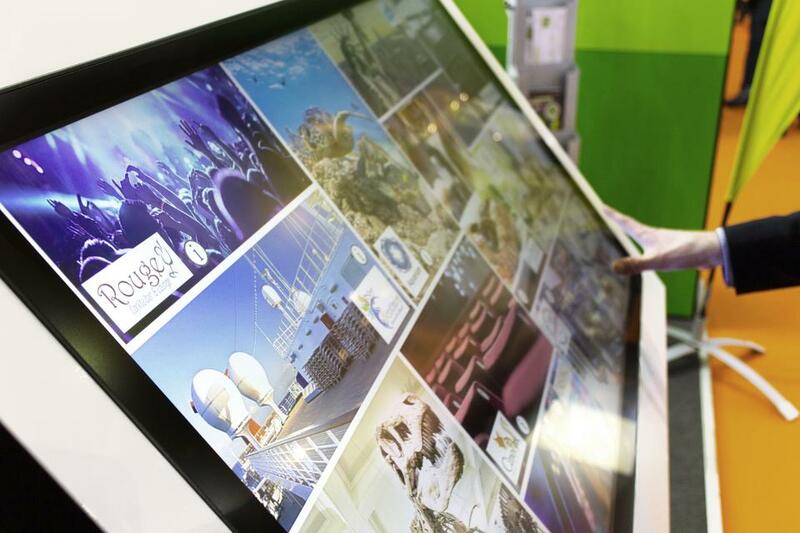 You can buy or rent multitouch terminals for permanent installations or temporary trade shows.